I am designing a part with a 13/16 thread. I originally called out 13/16-32 UN 2B. The mating part was difficult to assemble because of geometry and was hard to engage because the thread size was so fine, and any small foreign object debri would make it bind. I decided to change the thread to 13/16-20 UNEF 2B. 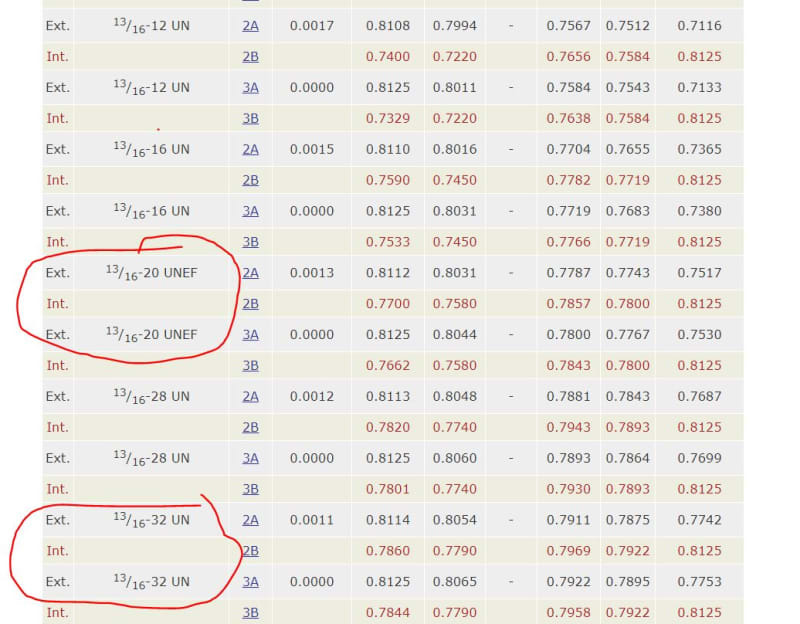 My question is why is the 13/16-20 thread designated as UNEF (extra fine) and the 13/16-32 just UN? Wouldnt the more TPI be UNEF? I wanted to g more coarse of a thread but these designations dont make sense to me.. The various constant-pitch series (UN/UNR) with 4, 6, 8, 12, 16, 20, 28, and 32 threads per inch, given in Table 1, offer a comprehensive range of diameter-pitch combinations for those purposes where the threads in the coarse-, fine-, and extra-fine-thread series do not meet the particular requirements of the design. UN designates the system of threads, not the series of thread. Anything that isn't extra-coarse, coarse, fine, or extra-fine is UN regardless if its more coarse or fine than any other.